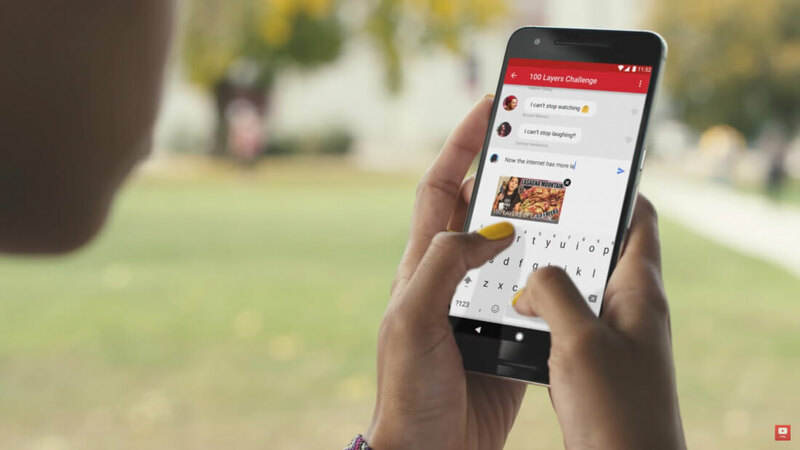 YouTube has ambitions beyond being just a video-sharing site; the Google-owned company is looking to take on the likes of Facebook with its own in-app messaging service. The feature has been in an invite-only testing phase since the middle of last year and is now rolling out to all Canadian users of the Android and iOS app. Most people share YouTube videos using a variety of external platforms and services by copying and pasting links, but the update will make the practice possible within the app itself. The system also allows users to engage in conversations about the clips with their friends and family. Ultimately, YouTube hopes this will tempt people away from the likes of Messenger and WhatsApp. The service isn’t solely used for sharing videos; it also functions in the same way as a standard messaging service, able to share links and other content from across the web. All shared videos will appear in the Shared tab, which displays videos that friends have shared and lets you quickly show off some of your own favorites. Canadians share more videos than anywhere else in the world – around 15 percent extra compared to an average user – making the country a perfect testing spot. And, as noted by TechCrunch, having a total addressable population of around the size of California means there's less risk if the feature doesn't become widely used. There’s no word on when a wider rollout is expected, but non-Canadian residents can get an early look by asking their Northern friends to add them to a conversation. Check out the video below to see the messaging service in action.